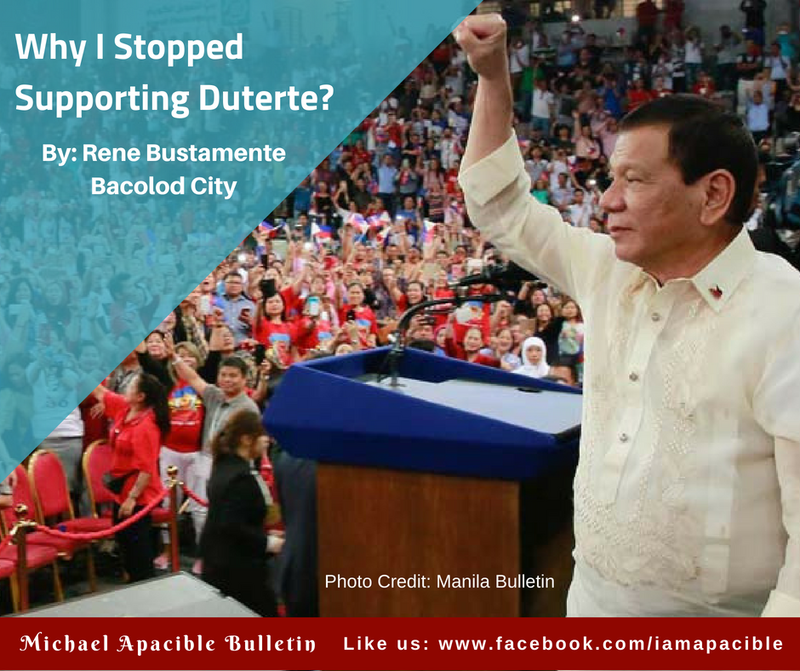 Netizen Rene Bustamente from Bacolod City shared how he was once a supporter of President Rodrigo Duterte only to lose his support of him, and his post went viral over the internet. Bustamente shared that he was a small business owner and the promises of the president enticed him to pool his support towards him, believing that his dreams for the country will be beneficial for Bustamente as well. He adds that is was not just that, but also because Duterte was a breath of fresh air. He calls him “unique and unorthodox”. He said that because he support the president 100 percent, he even pooled his resources to donate tshirts and other campaign materials to support the cause of Duterte. He says that as Duterte’s term progressed, he saw how unprofessional he could be. He says that as the time came, Duterte started to curse more and be an even more bully towards his critics. But not only that, while his opponents seek to find proper ways to discredit Duterte, the latter did not do anything about it. He also said that Duterte has been speaking lies since he came to power. 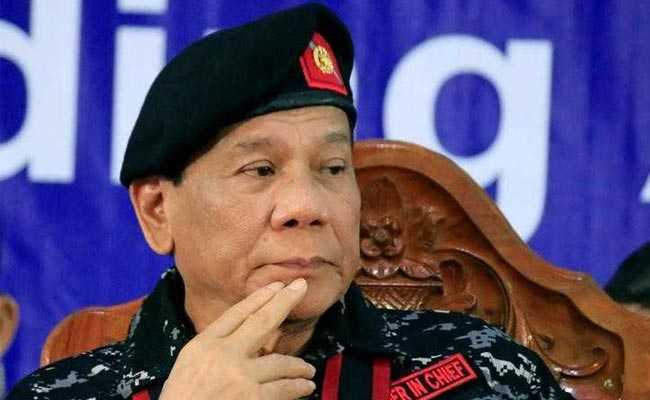 The first thing is that Duterte promised to end the drug problem in three to six months, and the ending of the MArawi conflict in three days. As well as Duterte appointing people like Mocha Uson and Cesar Montano in his administration’s ranks. The next thing he says is how he support Duterte’s war on drugs but is not impressed by the methods Duterte is employing for him to achieve his goals. He also says that he is no longer supporting Duterte because he is “starting to show his true colors” and that he is an “incompetent President who only leads in cursing lying and using force in order to achieve what he wants”. "As a small business owner and somewhat influential in our small community, at least fifty of my friends and acquaintances decided to vote the then Mayor and Presidential candidate Rodrigo Duterte, after talking to them personally. I think Duterte’s uniqueness and unorthodox style is what made me liked him. That was more than a year ago though, a couple of months before the 2016 General Elections. I donated hundreds upon hundreds of T-shirts bearing Duterte’s name. I distributed thousands of Duterte stickers to Jeepney drivers and tens of thousands of rubber wristbands. My devotion to then unknown Duterte was unparalleled. Several months after he took office as the new Philippine President, the New Bilibid Prison scandal broke out, and Sen. Leila De Lima was thrown inside jail. Duterte accused De Lima of having bank accounts containing hundreds of millions of drug money, but that accusation has never been proven while De Lima is living with uncertainty behind bars. 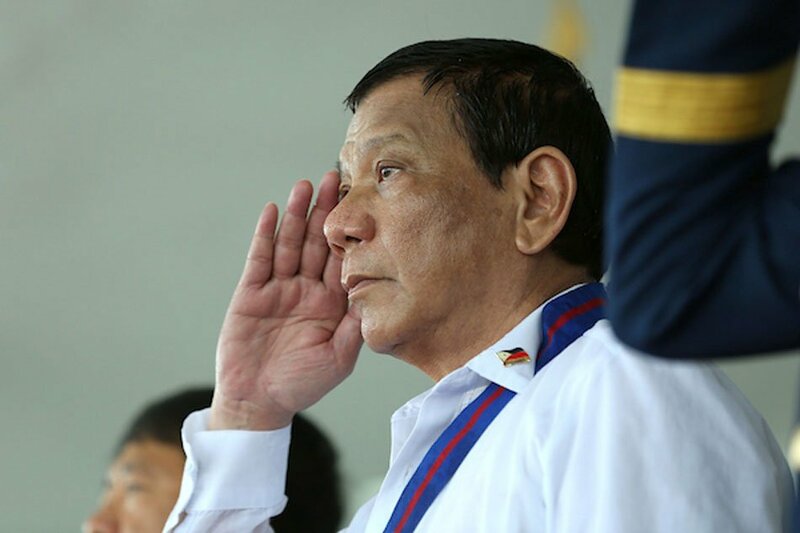 After a year in office, Duterte’s cursing has been becoming stronger and stronger – an attitude that made himself looked like an uneducated bully who grew-up in a squatter’s area. As the years progresses, Duterte is showing himself to the public a clear example of someone who, despite of high education, has no breeding. Duterte’s insults are backfiring towards him. His arrogance is becoming unbearable. Instead of proving himself innocent and silencing his critics, his rotting mouth is always in full display like a broken record (sirang plaka). Duterte is not a “strong man”. He is a weak old man who, like many other politicians, is hungry of power. Without guns and power, Duterte is nothing but a useless sob. I didn’t like Sen. Antonio Trillanes ever since. But the continuing rift between him and the dirty old man only proves who is a better strategist. Trillanes is always calm, while Duterte is always a crybaby, like his disciple Ronald “Bato” dela Rosa, an unqualified police officer to handle such big responsibility. I couldn’t believe, that at the age of 72, Duterte still has no balls to silence his critic by signing a waiver. Instead, he continue to play people’s emotions in order to divert the real issue. While Trillanes has proven Duterte wrong, the latter did nothing but hide behind his power. Let’s take a look at Duterte’s failures and some lies. He promised to end drug problem in three to six months. He boasted to end Marawi confict in three days. He is fond of appointing unqualified and incompetent people due to “utang na loob” (debt of gratitude). Ex. Mocha Uson, Cesar Montano, etc. He is always full of himself, saying unnecessary words on public. Example: In a speech during the DOJ anniversary, Duterte taunted some of his cabinet members of being first honors, but ended-up being his employees. “Si Delfin, si Dominguez, mga first honor yan, pero nasaan sila ngayon? Empleyado ko lang” – What exactly are you trying to say Mr. President? He promised to double the salary of policemen. He promised to wipe-out rogue police, but in the case of Supt. Lito Cabamongan, the highest ranking police officer caught red handed while taking meth, the officer only suspended more than 5 months later. No police officer has been jailed yet because of drugs, especially those who were caught in the act. He invented Trillanes’ fake bank accounts and lied to the whole public. I supported Duterte’s war on drugs, but I do not support how it is carried out, especially when innocent people are killed by his trigger-happy policemen. His plan to pick Brgy. Captains instead of going through elections is alarming and dangerous as well. If not endorsed by abusive people close to him, may alam kaya si Duterte kung sino ang i-appoint niyang maging Brgy. Captain sa lugar niyo? What a stupid plan. Appointing someone who local people don’t like will only result to a bigger problem. Is Duterte a real lawyer, or just old enough to think sensible things? Duterte has been showing frustrations when taunted by his political opponents, especially Sen. Trillanes. Trillanes knows exactly what Duterte’s weakness is – galitin si Duterte at malay mo baka sa sobrang pagka-pikon ay atakihin sa puso. Duterte can’t really handle criticism, because he is not used to it. “Ikaw ba naman ang hari sa Davao for more than 20 years. Hindi ka sanay na may taong bumabatikos at sumasagot sayo, tapos nong naging Presidente ka kaliwa’t kanan ang batikos? Duterte is not prepared for this kind of pressure”, political analyst Prof. Sotero Purcel said. Why I stopped supporting Duterte? Well because he is starting to show his true colors. That he is nothing but incompetent President who only a leads in cursing, lying, and using force in order to achieve what he want. I don’t expect him to finish his term. I don’t expect him to face his critics in a civil way. Duterte is half-civilized with zero breeding. Only people with low-level IQ and without personal principles, will continue to support this rogue president."